Click Here To See Artwork Drawn On Back Of Cover! 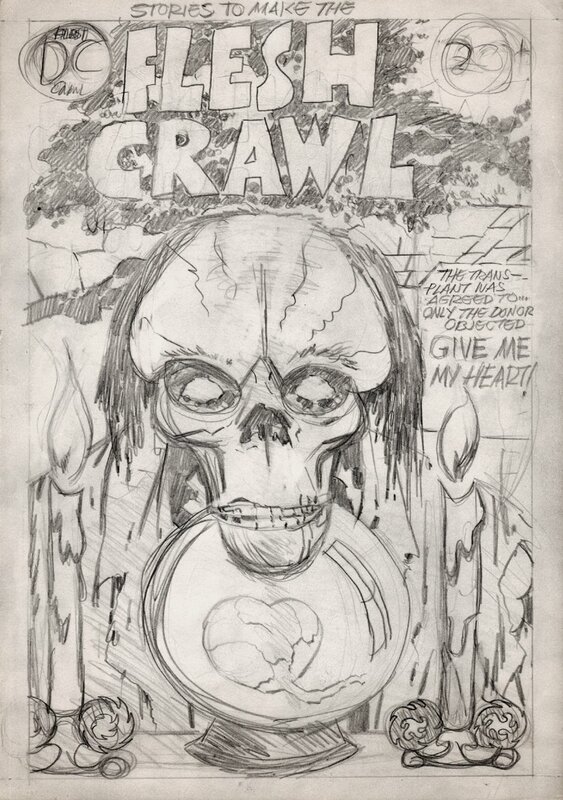 Check out this very nice fully penciled early 1970's DC horror cover, which was penciled by Steve Sherman (the Assistant to Jack Kirby in the 1970s) as well as the great Jack Kirby! 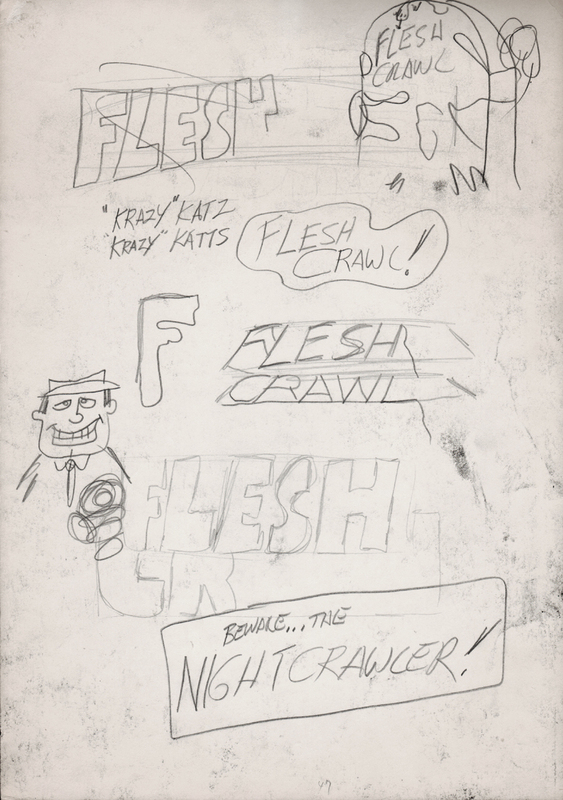 The DC corner box and the 20 cent price box were loosely drawn by Jack Kirby as he tried to figure the set up for the scary horror cover! On the right side of the cover Jack Kirby wrote the story basis for the cover story: "THE TRANSPLANT WAS AGREED TO.... ONLY THE DONOR OBJECTED-- GIVE ME MY HEART!" Just a great cover which was purchased from the Jack Kirby family back in the 1980s, but again, drawn by Steve Sherman and Jack Kirby! ALL pieces of art on our website (including this one) are able to be purchased with VERY fair time payments, and trades are always considered towards "ANY" art on our website! Just send us an email to mikeburkey@aol.com and we can try to work something out.